Keep your van locked and secure whilst filling and working from your system our outside ports panel. Supplied with 4 hoselock type female hose connectors – just run your system’s pipework down through the floor of your vehicle and connect. 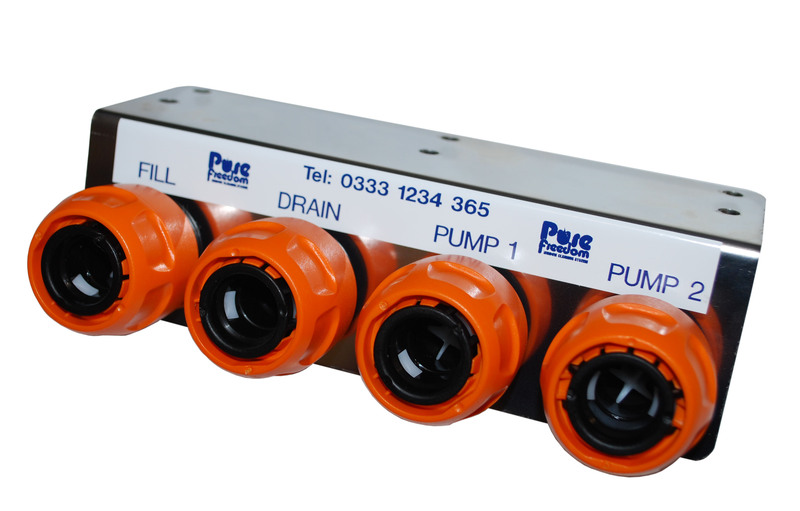 On our fitted twin operator system we use these for filling, draining and the two pump outlets however they can be used anywhere water needs to be transferred in or out of the vehicle.